When the bombs fall, the face of the planet will be forever changed. For 50 years, that terror lingered behind every moment. The world lived with the knowledge that one person just had to hit a button and the nuclear holocaust would come. We don’t worry about it as much anymore. Since the fall of the Soviet Union, the idea of mass nuclear devastation has been turned into little more than a fantasy backdrop for movies and videos games. But the threat hasn’t really gone away. The bombs are still there, just waiting for someone to press the button. And there are always new enemies to destroy. Scientists have run tests and simulations to understand what life will be like after the bomb. Some people will survive. But life in the smoldering remains of a devastated world will be completely changed. Moments after the atomic bombs hit, a hard black rain will fall. These won’t be little patters of raindrops clearing away the dust and the flames. They’ll be thick, black globs with a texture like oil, and they might kill you. In Hiroshima, the black rain started to fall 20 minutes after the bomb exploded. It covered an area about 20 kilometers (12 mi) across around ground zero, covering the countryside with a thick liquid that could douse anyone it touched with up to 100 times more radiation than stepping into the blast center. The city around the survivors was burning and tearing up the oxygen around them, and they were already dying of thirst. Struggling through the flames, they’d become so desperate for water that many opened up their mouths and tried to drink the strange liquid falling from the sky. 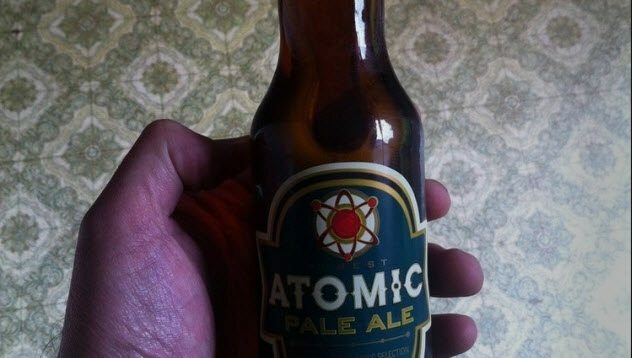 There was enough radiation in that liquid, though, to make changes in a person’s blood. It was strong enough that the aftereffects of the rain can still linger today in the places it landed back then. We have every reason to believe that it’ll happen again if another bomb falls. When a nuclear explosion goes off, it can send out a pulse of electromagnetic radiation that can shut down an electrical system—or even the electric grid for an entire country. In one nuclear test, the pulse sent out by detonating a single atomic bomb was so powerful that it blew out street lamps, TV sets, and telephones in homes 1,600 kilometers (1,000 mi) away from the blast center. This, though, was an unplanned accident. Since then, bombs have been designed to do it on purpose. 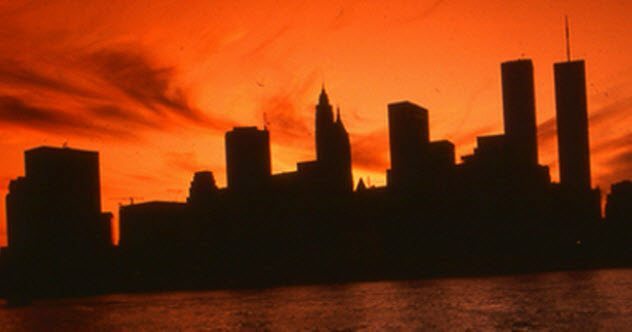 If a bomb designed to send off an electromagnetic pulse were to explode 400–480 kilometers (250–300 mi) over a country the size of the United States, the entire electric grid across the country would shut down. So after the bombs fall, the lights will go out. Every refrigerator storing food will shut down. The data on every computer will be erased. Worst of all, water treatment facilities will break down and we’ll lose clean drinking water. It’s expected that it would take six months of concentrated work to get a country back online after it gets shut down. But that’s assuming that people are free to work on it. For a long time after the bombs fall, we can expect to live without electricity—and without clean water. The areas around the blast centers will be charged with an incredible amount of energy and will burst into flames. Everything that can burn will burn. Buildings, forests, plastic, and even the asphalt in the roads will burn. Oil refineries—which were planned targets during the Cold War—will explode in flames. The fires that envelop every target of the nuclear bombs will send off a sooty, toxic smoke that will drift into the atmosphere and, from there, into the upper stratosphere. 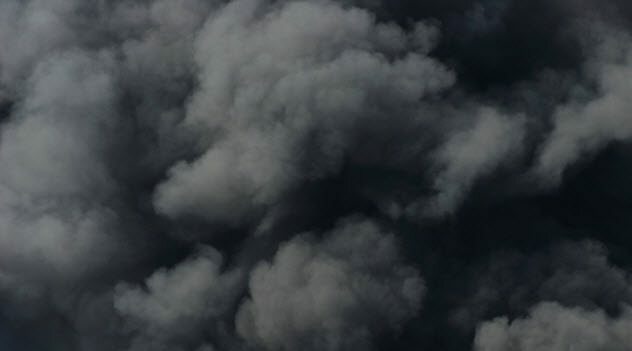 A dark cloud of smoke 15 kilometers (9 mi) above the surface of the Earth will grow and move, shifted by the winds, until it covers the entire planet, blocking out the sky. For the first years after the nuclear holocaust, this will be a simple reality of stepping outside. For years, the Sun will no longer shine and we will only see black clouds overhead obscuring the light. It’s hard to say for sure how long it will take until this drifts away and the blue sky shows again. But in a full nuclear holocaust, it’s believed that we won’t see a clear sky for 30 years. With the Sun blocked from the sky, the world’s temperature will drop. Depending on how many bombs are launched, this could be a devastating shift. In extreme cases, it’s expected that the global temperature could drop by as much as 20 degrees Celsius (36 °F). If we have a total nuclear holocaust, we can expect the first year to end without a summer. The weather during our growing seasons will feel like winter or even like a particularly brisk fall. Growing food will be all but impossible. Animals around the world will starve to death, and vegetables will wither and die. This won’t be the dawn of a new ice age. For the first five years, a killing frost will plague growing seasons and make them a month shorter. But things will calm down a bit afterward, and the temperature will go back to normal after about 25 years. Life will continue—as long as we can survive long enough to see it. Life, though, won’t be entirely back to normal. 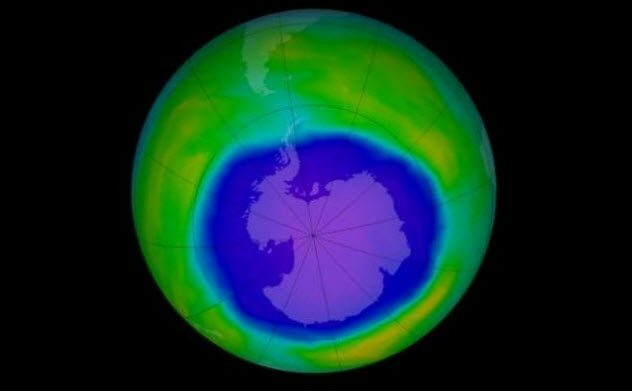 A year after the bombs hit, some of the process put in motion by our contaminated atmosphere will start to tear a hole in the ozone layer. This will be devastating. Even with a small nuclear war that uses only 0.03 percent of the world’s arsenal, we can expect up to 50 percent of the ozone layer to be destroyed. The world will be devastated by UV rays. Plants will die around the world, and the living things that survive will struggle through crippling mutations of their DNA. Even the most resilient crops will become weaker, smaller, and far less likely to reproduce. So when the sky clears and the world warms up once more, growing food will be an incredibly difficult chore. Whole fields will die when people try to grow food, and farmers who stay out in the Sun long enough to plant crops will die painful deaths from skin cancer. In a full-on nuclear holocaust, it will take about five years before anyone will be able to grow a reasonable amount of food. With low temperatures, killing frosts, and vicious UV radiation from the sky, few crops will survive long enough to be harvested. Billions of people will starve to death. Those who survive will have to find ways to get food, but this won’t be easy. People living by the ocean may have a slightly better chance because the seas will be slow to cool. But life in the oceans will still be scarce. The darkness from the blocked-out sky will kill off plankton, the major food source that keeps life thriving in the ocean. Radioactive pollution will also be surging into the water, cutting down life and making it dangerous to eat anything fished out. The majority of people who survive the explosions will not make it through the first five years. Food will be too scarce, competition too vicious, and most will die. One of the main ways that people can survive the first five years, though, is by consuming bottled and canned food. Just like in fiction, tightly sealed packages of food will still be safe to eat after the nuclear apocalypse. Canned food, it’s believed, will be just as safe as these bottled drinks. It’s also believed that water from deep underground wells might still be safe to drink. The struggle for survival, then, will be a battle for control over rural wells and food in cans—humanity’s last hope. Even with food to eat, though, the survivors will have to struggle with widespread cancer. Shortly after the bombs hit, radioactive particles will go up into the sky and then fall down all around the world. When they land, they’ll be so small and so spread out that we won’t be able to see them. But they’ll still be able to kill us. One of the chemicals is strontium-90, which tricks the body into thinking it’s calcium when inhaled or consumed. 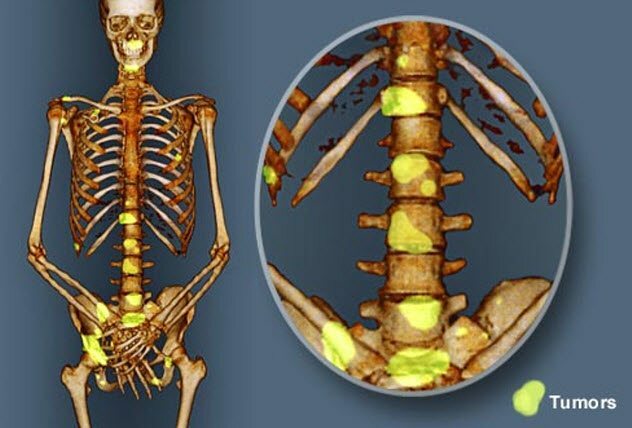 The body sends these toxic chemicals straight into the bone marrow and the teeth, rattling the victim with bone cancer. Whether we survive these radioactive particles has a little to do with luck. It’s not entirely clear how long it will take for the particles to fall. But if it takes long enough, we might survive. If it takes two weeks before the particles fall, their radioactivity will go down 1,000-fold and we’ll be able to make it through alive. 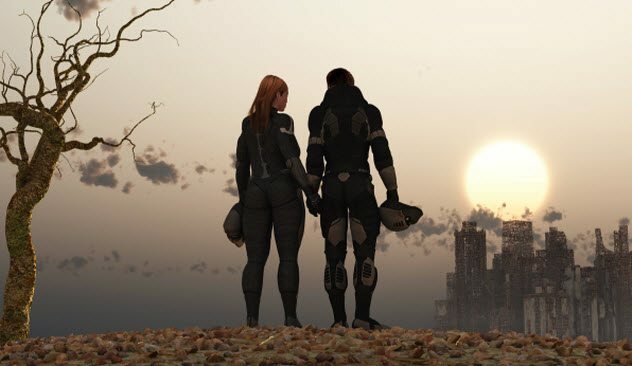 Cancer rates will go up, life spans will get shorter, birth defects will become common—but humanity won’t be wiped out. During those first two or three years of frozen darkness, we can expect the world to be racked by storms unlike any we’ve seen. The debris sent into the stratosphere won’t just block out the Sun, it will also affect the weather. It will change how clouds are formed, making them much more efficient at producing rain. Until things go back to normal, we can expect a near-constant rain to fall on the Earth in heavy storms. Things will be worse by the ocean. Though the temperature of the Earth will rapidly plummet into a nuclear winter, the oceans will take a lot longer to cool. They will still be relatively warm, which will cause massive storms along the oceanfront. 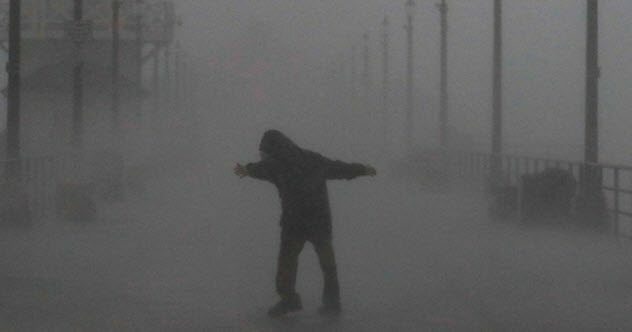 Hurricanes and typhoons will wreak havoc across the world’s coasts, and they’ll rage on for years. Billions of people will die in the nuclear holocaust. We can expect about 500 million people to die immediately in the explosions of the war. 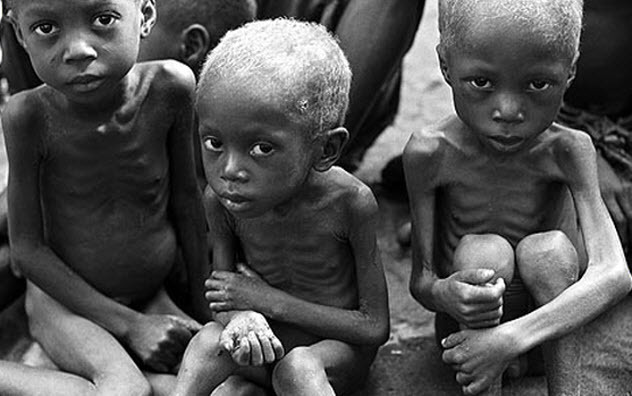 Billions more will starve or freeze to death while they struggle in the new world. There’s every reason to believe, though, that a hardy handful of people will make it through. It won’t be a lot of people, but that’s a far more positive vision of the post-apocalyptic future than we used to have. In the 1980s, scientists were in a near-consensus that the whole planet would be wiped out. But today, we have a bit more faith that a few people will make it through. After 25 to 30 years, the clouds will clear, the temperatures will go back to normal, and life will be able to begin again. Plants will grow. They may not be as lush as before. But after a few decades, the world may even look like modern Chernobyl, where thick forests grow over the remains of a dead city. Life will go on, and people will rebuild. But the world will never again be the same. 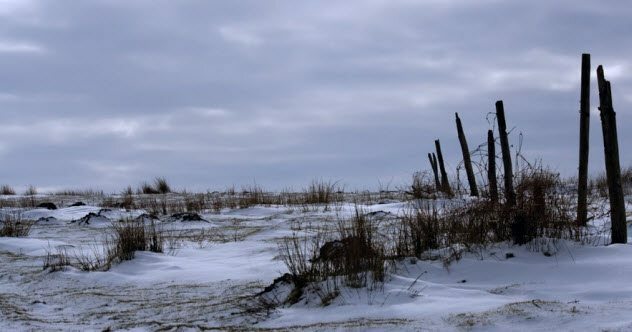 Read more about the brutal realities of life after the apocalypse on 10 Facts About Life After The Apocalypse and 10 Apocalypses That We Survived.